Learn about the colorful culture of India. The people of India have always associated their lives with radiant colors and each of them holds a strong significance. This reverence for color stems from prevalent Indian religious beliefs, the existence of mythology and historical events during the era of colonialism. 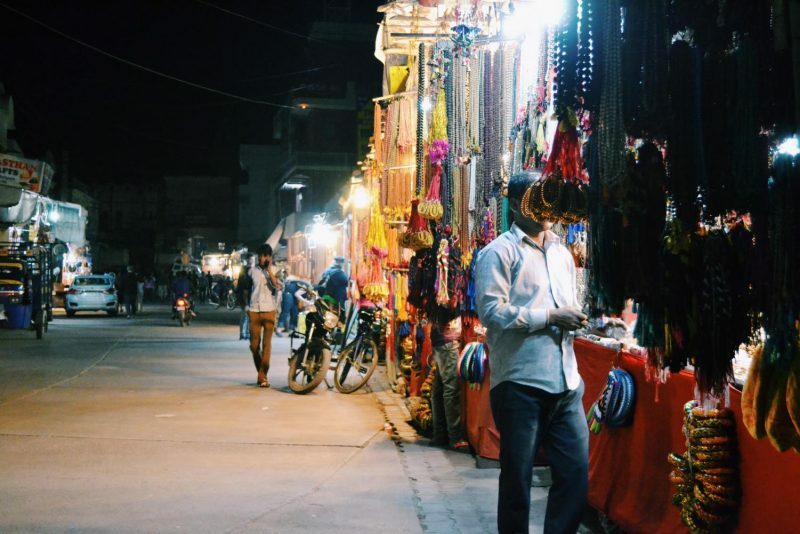 Here are some vibrant hues found throughout India and their cultural significance. When the spice saffron leaves color, the dark tone of golden yellow is often observed as the color of flame and sunsets. 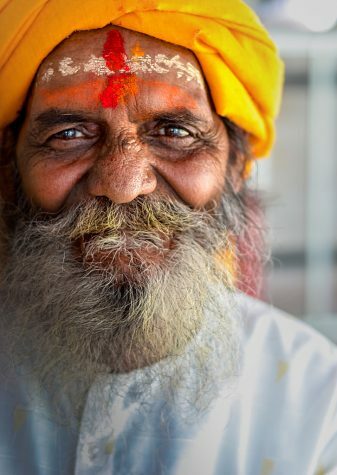 The Hindu saints are always dressed in saffron-colored robes, which are considered to be symbols of purity in the Hindu religion. It is believed that this color is a symbol of wisdom for all they have attained through their spiritual endeavors. Additionally, saffron is the color of the first segment in the Indian national flag that shows courage and dedication of its citizens to the country. The spice is also used in Indian kitchens as a natural food coloring substitute for various shades of yellow. The color of the sky and water—blue is perceived by the human eye and calms the mind just like the waves of the ocean or a cool breeze. 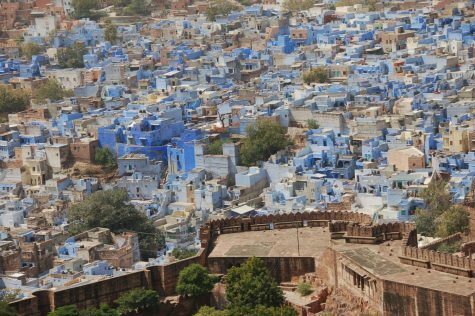 However, in India, the color blue takes you to the city of Jodhpur, the perfect monochromatic city. Jodhpur is one of the most famous tourist spots in the royal desert of Rajasthan where most homes are various hues of blue. This was initially done to differentiate the upper-class homes from the lower ones, however, this became less prominent as the colonial influence from the country started to wear off. In addition to this, blue is also the color that signifies Lord Krishna, one of the most famous gods in Hinduism. The spiritual significance of the color of his skin is the vastness of his character and the depth of his vision. Green is the color of nature and happiness. In Central India, particularly in Maharashtra and Andhra Pradesh, married women wear green saris and bangles to honor “Lord Rama”—a brave warrior in the Hindu epic Ramayana. He spent most of his life in exile with his brother and wife in the forests. When his wife was abducted by the demon Ravana, he and his brother Lakshman fought a battle to rescue her. This happens to be the most renowned and widely believed stories of good vs. evil in the country. In the traditional ways of dying clothes in India, there is no specific natural element that can be used to create the color green. Spices like turmeric and the indigo plant are mixed together to make a natural dye that gives the color green to the traditional saris these women wear. Green also holds a very prominent place in the Indian tricolor. The third layer of the flag represents the fertility of the land and prosperity of India. Jaipur, the pink city of India, is the capital of the state of Rajasthan. 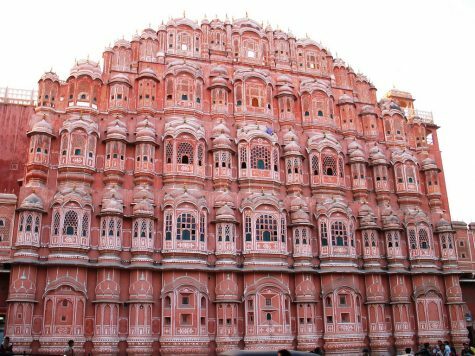 Most historic sights in the city have been painted with terracotta “pink” paint. This was done by the Emperor of Rajasthan, Sawai Man Singh, to impress Prince Albert Edward during his 1875-6 tour of India. The color pink signifies a warm, hospitable and welcoming environment for those visiting the city. However, it is also believed that Man Singh’s wife adored this color scheme as well. All of these colors come to together to add charisma to the diverse character and the rich history and culture of India.